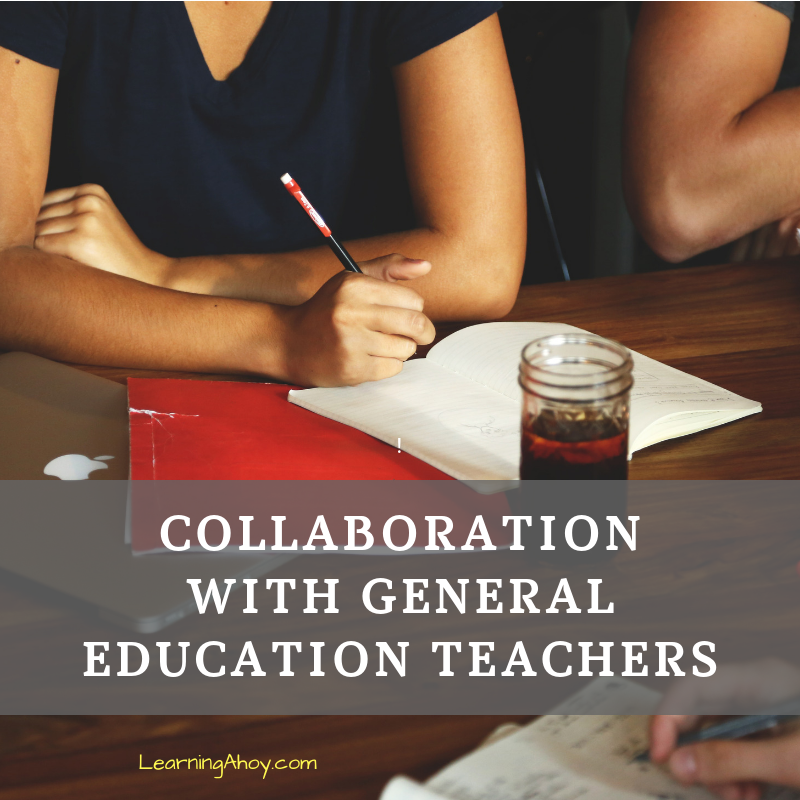 Collaboration with general education teachers can be one of the hardest jobs of a special education teacher. You need to find time to talk that fits in with both teacher's schedule. Then if you have students in more than one general education class, you need to work out times with multiple teachers. I have been teaching in the co-teaching and inclusion setting for the past 13 years. Here are a few tips I have learned. One of the most important things I stress to all special education teachers (and General ed!) is documentation. Document the accomodations you are using with students and ask general ed teachers to do the same. Document goals, document behavior and document communication. I have a communication sheet that I use to document conversations between myself and general education teachers. Some of my teammates use a notebook that goes between them and the general education teacher. I have always had a set meeting with my general education teachers at least once per month. I talked with them and we figured out what day of the week and time worked best, then added it to the calendar. For example, last year, I met with a teacher the third Friday of every month at 8:15 AM. This gave us a set time to discuss how students were doing or if we were co-teaching anything together, time to plan the next month. Ideally, if you are co-teaching you have common planning, but lets be real, that does not always happen. When you are working with another teacher you need to be open to change and open to trying things a different way. Learning new strategies and ideas can strengthen your teaching and help your student succeed. Here are some other place to find more ideas about collaborating with general education teachers. Special Education is not a Classroom, It's a Team.